Could this be the end of our Kingdom which has existed for over four centuries? We are seeking answers and actions. We want our traditions intact. Our traditions hold our life, fortunes and carry our legacy. The report below there was sent to Muzvare Betty Makoni as a copy. You must read it to the end. The identity of the person who wrote it has been protected to avoid victimization. Power was usurped by politicians and who even had the nerve to disregard the powers of Vazvare. So in the Makoni Kingdom how does one run this 386 year old Kingdom if Vazvare are disregarded. But the failure to follow traditional rules and procedures clearly shows lawlessness has gone too far. Respect Baba Mukuwapasi and all elders. That said we do not recognise a Chief who does not respect traditional rules at all. Mr Mbetsa informed the gathering that the meeting had been called by the District Administrator Makoni, as a follow up on one held on 14th June 2013, and, had been occasioned by the need to address the concerns raised by Mr Muswere and others that ‘frequently’ visited head office. He said that he had informed Mr Muswere of the meeting but noted that he was not present. Mr Mukwaira took the chair and wanted to know what standing Mr Muswere had in Makoni chieftainship. All houses did not recognize Muswere as a factor in the Makoni chieftainship and the matter was closed. Mr Kamba, who was mentioned alongside Mr Muswere by name, in the DA Makoni letter dated 24th June 2014, as having necessitated the meeting, was not mentioned by name by the chair or by Mr Mbetsa, neither had he been officially informed of the meeting by any of the two. The chair proceeded as if Kamba’s case did not warrant mentioning or discussing, notwithstanding that Kamba had written to the relevant offices of the ministry to object to a Zendera nomination for the Makoni chieftainship on 17th and 21st of June 2013. It is anybody’s guess what the reason was for this silence about Mr Kamba who was present. It was therefore interesting that the meeting was articulate about Mr Muswere’ case, when Muswere was not present. A logical question to ask would be: Was there any conspiracy against Kamba? Those who were keen to capture the event on video camera were ready but were told that cameras were not allowed as this was against tradition. Concern was raised that it was only through the capture of the event on camera that anyone would know for certain what transpired. The request was not entertained. Did the conveners of the meeting have anything to hide, for objecting to a road to transparency? What is traditional about locking away the traditional installer of the Makoni chiefs? What is traditional about hosting disruptive Zendera youths at a meeting to nominate next incumbency of Makoni chieftainship? What is traditional about writing minutes? What is traditional about driving in suits to a traditional meeting? What is traditional about sitting on benches while plenty of rocks exist in the vicinity? What is traditional about reading scripts that are not accompanied by oral history and an historical society? What tradition is enforced, confirmed and defended by advancing oral memories and oral societies? What is traditional about abandoning and cursing tradition? Tradition is nothing, unless, close behind it, is a living public appreciation of it being socially and culturally embedded. Mr Teddy Muchira of Nyamanhindi pointed out that as a matter of procedure, he wanted minutes of the previous meeting to be read and ratified for adoption. These were not available and it was pointed out that these could be obtained by request from the appropriate office. Did the conveners of the meeting have anything to hide about what transpired at the previous meeting of 14th June 2013? On the contrary, at a meeting convened by Baba Mukuwapasi on 29th May 2010 to nominate next incumbency of chieftainship, the houses were informed in advance by Baba Mukuwapasi to bring their video cameras to capture the event in the interests of posterity. The videos are available on request and the Office of the DA Makoni that was officially invited to the meeting was represented by the Assistant DA, Mr Museka, who registered his presence in the video. In addition, the law enforcement agents (ZRP) were in attendance to reassure and reinforce peace and order. Donald Sarudzai Kamba Makoni was duly nominated for next incumbency on 29th May 2010. Legitimacy and transparency of the proceedings and process was paramount, and, was promoted and protected. On the contrary, at the meeting convened by Baba Mukuwapasi on 29th May 2010 Baba Mukuwapasi read out minutes of the previous meeting that was convened on 30th January 2010 and, these minutes were ratified at the meeting. That meeting sought to inform all houses that the Traditional Leaders Act Chapter 29:17 required that a substantive Chief be found within two years of the death of the previous incumbent on 6th September 2008, and that a nomination should therefore be made within the deadline of 6th September 2010. The chair wanted to know how the Makoni chieftainship was derived and how many houses constituted the chieftainship houses. üAll houses agreed that the present chieftainship houses were derived from Ruredzo. üMuswati and Zendera said there were four houses while Nyamanhindi and Nyakurukwa said there were only two houses; namely Nyamanhindi and Nyakurukwa. The Chair wanted to know the role of Baba Mukuwapasi. üMuswati and Zendera gave vague explanations about the role of Baba Mukuwapasi while Nyamanhindi and Nyakurukwa stated clearly that he is the installer of Makoni chiefs as vested by tradition (Zibaba rinogadza Madzimambo ekwa Makoni). üThe rightful Baba Mukuwapasi, one Enock Shumbayaonda Mukuwapasi, who had not been officially invited, rose in his traditional regalia to register his presence. üAnother, one, Paradzai Mukuwapasi, who had been officially invited, also rose to claim the title, citing seniority by age; forgetting that Baba Mukuwapasi rotates in two families i.e Manana and Shumbayaonda, and, that with the passing of James Kwaramba of Manana the turn reverted to Enock of Shumbayaonda-the current Baba Mukuwapasi with traditional regalia. üThe one in regalia pointed out that there was only one Baba Mukuwapasi, at a time and is identified by his regalia at official gatherings. üMr Mbetsa countered by remarking that he was not worried about the regalia on display as that did not mean anything. üMr Mbetsa further remarked that if this was the Mutasa chieftainship it would be clear that the only house that would feature is that of Tendai and that there would be no wrangles about houses. It was therefore interesting and, indeed ironical, that Mr Mbetsa should make such remarks about the one house of Tendai of Mutasa when government officials were falling over each other to resuscitate two century-old defunct Makoni chieftainships. The Mukuwapasis were not given the platform to state their case nor were they given the opportunity to participate in the proceedings. Instead, they were told to await invitation by DA Makoni to address their matter. One wondered what matter. Baba Mukuwapasi was thus effectively silenced while the subject matter that has enveloped him for 354 years was being debated by those who look to him for guidance, advice and direction. One also wondered what matter. Kamba who was nominated for chieftainship on 29th May 2010, and, installed traditionally on 11th December 2010 as Chief Makoni by Baba Mukuwapasi, had the installation allegedly nullified in a Manica Post report of 14 to 20 January of 2011 by PA Manicaland, citing that Kamba had usurped the President’s powers by installing himself as Chief Makoni. This seemingly serious matter was not even mentioned. One also wondered what matter. This was an opportune time for government officials to explain to all houses present why the nomination and installation of Kamba by Baba Mukuwapasi was nullified and to give an opportunity to Baba Mukuwapasi and Kamba to put their case across for their benefit as well as that of the gathering. This opportunity was allowed to slip away. Why and in whose interest and benefit? No one else from the houses was allowed to speak, and, could only communicate their views by writing on pieces of paper what they wanted to put across and handing those pieces over to their representative, as above, for attention. However, a rowdy crowd of Zendera youths was able to turn the meeting into some beer hall gathering by booing, with impunity, contributions that portrayed Zendera and Muswati in negative light. Intriguingly, those who felt strongly that they had points to put across were ordered to do so through their representatives or would be ordered to leave the meeting, while not a word was uttered against the booing. Women were treated as dummies that had no business at the meeting, notwithstanding the critical role that the vazvares in particular and the varongos in general play in the Makoni narrative. Intriguingly, the Chair did not restrain the unruly youths, and, one wondered what was traditional about entertaining ordered disorder. A dark cloud of what the meeting sought to achieve hanged precariously over the heads of the uninitiated. A whole debate arose as to the role of Baba Mukuwapasi, with the Chair enquiring if spirit mediums played any part in nominating a person for the position of Chief Makoni. üThere was consensus by all the houses that cited Baba Mukuwapasi as central to the nomination and appointment of a Makoni chief, adding that this overriding authority ruled out the role of spirit mediums as a decisive factor. a) While Mr Nyahada of Muswati house claimed that the late Mr Naboth Gandanzara had sought to streamline the succession issue by bringing on board four houses and discard the two centuries old Makoni tradition, the Chair cautioned that a reigning chief could only do so much but could not be expected to choose his successor. It needs noting that Gandanzara was not recognized by tradition as Chief Makoni and even the Official Undertaker of Makoni Chiefs, Rugoyi, at a meeting of 14th June 2013, confirmed that he was not privy to when Gandanzara died and where he was buried. b) Mr Topira John Mutasa of Zendera house said he had fought in the Second Chimurenga that brought independence and that the old narratives of only two houses did not recognize new realities and must therefore be dispensed with as irrelevant in the search for a chief. He went emotional, refusing to be reminded of the sins of his forefathers, leading to the forfeiture of the Zendera chieftainship, and, the Chair cautioned him to refrain from being personal. One wondered what was traditional about discarding tradition, history, custom and culture. Even more interestingly, how does one justify eligibility for chieftainship by an ineligible house on the basis that one fought a national war that, in any case, did not create the Makoni Chieftainship? c) Mr Teddy Muchira of Nyamanhindi house pointed out that the Makoni chieftainship disappeared when Zendera was killed by Mukunyadze and it was Nyamanhindi and Nyakurukwa that dislodged Mukunyadze from power. He added that for that reason the Muswati and Zendera houses that did not participate in this struggle were disqualified from ever accessing the Makoni chieftainship and that Baba Mukuwapasi only entertained two chieftainship houses of Nyamanhindi and Nyakurukwa. d) Mr Donald Kamba of Nyakurukwa house made reference to a history of chieftainship dating back to 1625 and how in 1660 the VaRozvi bestowed on Chemasezu (Mukuwapasi), younger brother of Muswere (Makoni), responsibility to install Makoni chiefs as compensation for failing to access his brother’s chieftainship that had since been given to Muswere’s son by the VaRozvi. This was occasioned by the fact that Chemazezu (renamed Mukuwapasi by the VaRozvi for his tardiness) had delayed in coming to see his sick brother only to find him dead and the throne given to his son. Kamba emphasized that this is why Mukuwapasi is called Father (Zibaba Rinogadza Madzimambo ekwa Makoni) responsible for nominating for chieftainship and installing same, eligible descendants of his elder brother Muswere, on a house and family rotational basis, and, based on traditionally acceptable mores, norms and values. Chief Ruredzo died in 1820. The current Makoni chieftainship is drawn from the six surviving sons of Ruredzo, who in order of seniority are Fusire, Muswati, Zendera, Nyamanhindi, Muchichwa and Nyakurukwa. Fusire, the eldest, was ruled out of chieftainship as he was unpopular with the community. Baba Mukuwapasi prevailed upon his father Chief Ruredzo before he died in 1820 to give him dominion over a piece of territory over which he will exercise his authority. He was thus relegated to a headman, of Hanwa Mufure, even before 1820, and, he remains a headman to this day. It must be noted that in the Makoni tradition, once one has been designated a headman, his descendants are automatically disqualified for chieftainship. Muswati was appointed chief in 1830, notwithstanding that he was not the eldest in line with the earlier ruling against Fusire. During his reign he committed improprieties such as ordering the plucking out of the eyes of some of the offenders that appeared before his court. It was resolved by the elders of the community, with the endorsement of Baba Mukuwapasi, that his descendants be barred permanently from chieftainship. Accordingly, no Muswati assumed chieftainship since 1835, for 158 years, when in 1993, Naboth Gandanzara of the Muswati house cheated his way into chieftainship through a bogus Baba Mukuwapasi called Paradzai Mukuwapasi, with the aid of a Zendera political figure who had vested interests, after being denied chieftainship by the authentic installer in Baba James Kwaramba Mukuwapasi. Rugoyi, the official undertaker did not bury Gandanzara as Gandanzara was not accepted as chief by the rightful Baba Mukuwapasi. Rugoyi reaffirmed this at a meeting convened on 14th June 2013 in the presence of the PA Manicaland and DA Makoni, effectively ruling out Muswati as chief. The Muswati descendants were demoted to headmen, a status that automatically disqualified them for chieftainship as was the case with Fusire. (Accordingly, Muswati’s descendants in Nyahada, Muchembere,Murirawanhu, Rushesha –Nyatsungo – Gandanzara etc are headmen and cannot assume chieftainship). Zendera was appointed chief in 1835 and committed similar misdemeanours as Muswati and when Baba Mukuwapasi condemned him to a similar fate as Muswati he retaliated by killing pregnant women of the Mukuwapasi clan in bitterness for the disqualification of his descendants from chieftainship. Because of disgruntlement with the Zendera chieftainship by the community, a usurper called Mukunyadze, not related to Makoni, took advantage of the situation, killed him in 1840, and, assumed chieftainship of the area. It was Nyamanhindi, Muchichwa and Nyakurukwa who mounted a joint operation to oust Mukunyadze and were able to restore the Makoni chieftainship in 1845. As in Fusire and Muswati, the Zendera descendants were demoted to headmen, a status that automatically disqualifies them for chieftainship and this has been the case for 174 years, since 1840. (Accordingly, Zendera’s descendants in Gwasira, Chigudu, Dafi, Kadzunge, Mataranyika, etc are headmen and cannot assume chieftainship). Nyamanhindi assumed chieftainship in 1845 and died in 1865. This house is a chieftainship house to this day. (Chingaira is of Nyamanhindi house). Muchichwa was possessed by the spirit of his father Ruredzo and was disqualified from assuming chieftainship because a spirit medium’s responsibilities interfere with normal execution of the duties allotted to the Office of Chief. (He was, instead, given the position of headman for Rushinga, a status that automatically disqualifies his descendants for chieftainship since 1865). Nyakurukwa assumed chieftainship in 1865 and died in 1889. This house is a chieftainship house to this day. (Kamba is of the Nyakurukwa house). Of the six surviving sons of Ruredzo, only two sons, namely Nyamanhindi and Nyakurukwa graduated to chieftainship houses and these are the only two houses eligible for appointment as chief. (The other four houses are headman-ship houses, namely Fusire, Muswati, Zendera and Muchichwa, and, are ineligible for appointment as chieftainship houses). Mr Kamba thus explained that Muswati and Zendera had already been removed from chieftainship before the chieftainship was usurped by Mukunyadze, adding that Muchichwa who participated in the restoration of the chieftainship was disqualified for the reason that he was a spirit medium. Muchichwa was thus given the position of headman, and, our tradition disqualifies anyone who is headman to assume the position of chief, as is the case with the Fusires, Muswatis and Zenderas. Kamba added that it ought to be noted that the descendants of Muswati and Zendera had no incentive to fight for the restoration of the throne because that was not going to alter their ineligibility status. This clearly explains why Zendera, with Gwasira in the forefront, aware of their ineligibility status, engaged Chief Makoni in battle at Mhanda using Chief Mutasa as a front in order to grab the Makoni chieftainship by force, but failed. The comprehensive account by Kamba sought to depict the central role of Baba Mukuwapasi in addressing the Makoni chieftainship issue, as well as offer insight into almost two centuries of a two-house rotating chieftainship, made up of Nyamanhindi and Nyakurukwa. The Chair was concerned that Nyakurukwa had assumed chieftainship in a row from 1896 up to 1952 and that Baba Mukuwapasi was favouring this house at the expense of Nyamanhind, and, invited comments. üContributions by Muswati, Zendera and Nyamanhindi suggested that Nyakurukwa was favoured by whites because Ndapfunya of Nyakurukwa allegedly sold out Chingaira to the white settlers in 1896 leading to Chingaira’s death. üThe three houses ganged up against Kamba of Nyakurukwa and accused Baba Mukuwapasi of favouring Nyakurukwa. üThe Chair weighed in, adding that it was unfair to place an entire succession process in the hands of one man called Baba Mukuwapasi, especially when considering that the process arbitrarily discarded other sons of Ruredzo from which the chieftainship houses are drawn. üThe Chair reiterated the position that the role of Baba Mukuwapasi was too sweeping to be fair, and, by inference, caging Baba Mukuwapasi, as had been done that day, and even at the previous meeting of 14th June 2013, was meant to clip his wings. üBaba Mukuwapasi had already been instructed to stay out of any debate. üHe was being attacked in his presence without recourse to defense. üHe looked like some captive over a matter of which he holds the brief to outline his own functions as the father-figure of the Makoni chieftainship. üThis treatment did not surprise those that knew that Baba Mukuwapasi had not been officially invited to the meeting and was therefore not expected to be present had Kamba not informed him of the meeting just like what happened on 14th June 2013 when Baba Mukuwapasi and Kamba were also not officially invited. Kamba disagreed that Ndapfunya of Nyakurukwa house and Chipunza of Chipunza chieftainship were sell outs. He was interrupted and reminded that the debate was about Makoni chieftainship and not Chipunza chieftainship. Kamba’s simple point, though, was: Who has ever approached Chief Chipunza to accuse him of being a sell out and not deserving his chieftainship, and, why is the Chair allowing unnecessary sensationalism about nothing? That Ndapfunya and Chipunza were office bearers under Chief Chingaira and the white invaders regarded them as better placed to identify Chingaira at a parade than others that did not work closely with him. The question of selling out did not arise as the white settlers knew exactly where Chingaira was, that he was holed in a cave from which he was attacking the invaders. It was not as if the white settlers did not know where Chingaira was, and, as if Ndapfunya and Chipunza had to go out of their way to lead them to some hidden place somewhere where Chingaira would have remained safe had these two not sold him out. The narrative of selling out was therefore not only cheap but also mischievous and intended to isolate Ndapfunya of Nyakurukwa (and by inference, also, Kamba of Nyakurukwa) and Chipunza as disgraceful elements of the revered Nyati clan. That the question of Ndapfunya of Nyakurukwa being rewarded with chieftainship, as bonanza, after the demise of Chingaira of Nyamanhindi in 1896, was based on raw ignorance and plain malice. üKamba of Nyakurukwa who was an elder brother of Ndapfunya was killed even before Chingaira was killed, having been th military strategist that sourced guns for the Chindunduma war from Antonio de Suezar (Goveya) of Portuguese East Africa (Mozambique)and provided caves in which to hide from the enemy. üKamba was an outstanding Chindunduma hero. üIf Kamba of Nyakurukwa had not being killed earlier, he would have been the one to assume chieftainship after the demise of Chingaira of Nyamanhindi. üThe notion that Ndapfunya of Nyakurukwa was rewarded for selling out is therefore unsustainable and mischievous especially when considered that he was merely taking his turn as Nyakurukwa after the demise of Chingaira of Nyamanhindi..
üIt must be further noted that, for refusing to give up any of his judicial functions to the white administration this put him on a collision course with the new authorities, and, was ordered to relocate to Gokwe. üNdapfunya resisted going to Gokwe, citing to colonial authorities, the need for him as Chief to protect the Makoni heritage in terms of sacred burial grounds. His refusal gave rise to a matter that led the Makonis to having to buy what is Mbobovale Farm (a place that was never sold to the whites) in order to retain residence of those sacred areas. üIf Ndapfunya had sold out he would have jumped and moved to Gokwe with his subjects as ordered, to show that he was a stooge and pawn in the game of white settlers and without a moral campus. When Ndapfunya of Nyakurukwa died in 1921, the chieftainship went to Nyamanhindi. Muchira, Murumbi and Zambe of Nyamanhindi engaged in endless bickering about who should assume the chieftainship, with Zambe charging that Muchira could not get the throne ahead of him because his father, Bururenhuka, who was older than his father, Chingaira, was too cowardly to assume chieftainship in the face of white and Ndebele invasions in 1889 and made way for the younger brother in Chingaira. Zambe also charged that although Murumbi was older than him, he was born of an inherited mother (mwana wenhaka haagari umambo). When Baba Mukuwapasi could not furnish the white District Commissioner with a chief because of this stalemate, he was prevailed upon to provide the Commissioner with a chief to service an area whose jurisdiction had become untenable. Still none of the three could give way to the other and Baba Mukuwapasi had to turn to Nyakurukwa for a chief. When Nyakurukwa put forward Muziti, Zambe even offered his full support to Muziti for the chieftainship, and, ahead of himself and his Nyamanhindi house. When Muziti died in 1928, Chiwunya of Nyakurukwa was appointed because the Nyamanhindis were still not agreed. When Chiwunya died in 1942, again Makama of Nyakurukwa was appointed because the Nyamanhindis were not agreed. When Makama died in 1952, Zambe of Nyamanhindi assumed chieftainship because this time around Muchira and Murumbi had since died. When Zambe died in 1970 Edward Muzanenhamo Fetete of Nyakurukwa became chief. It must be noted that there was no question of Nyamanhindi remaining on the throne to make up for lost chieftainship turns because it was well celebrated that the forfeitures were caused by Zambe of Nyamanhindi and not by Nyakurukwa or by Baba Mukuwapasi or by the white District Commissioners. When Muzanenhamo of Nyakurukwa died in 1985, wrangles between Kingston Chingaira, Shaw Chingaira and Edward Ruwanda of the Nyamanhindi house again raged for eight years, with the battle for chieftainship subsiding as a result of the death of Edward Ruwanda and Shaw Chingaira. Naboth Gandanzara of Muswati took advantage of the chaos in the camp of Nyamanhindi and smuggled himself into office through a bogus Baba Mukuwapasi, called Paradzai, with the assistance of some senior local politician of Zendera house with vested interests. A video recording of 29th May 2010, when eligible houses gathered for nomination at the request of Baba Mukuwapasi, outlines, how in Teddy Muchira’s own words (Nyamanhindi house), Muswati stole Nyamanhindi’s turn and throne, noting that Muswati was not a chieftainship house. Attempts were made to nullify Gandanzara’s appointment by Nyamanhindi and it was Nyakurukwa who paid legal fees in the sum of Zim 40 000 (forty thousand dollars) in 1993 to get the matter heard in court but Nyamanhindi failed to make significant contribution to his own cause leading the lawyer to renounce agency, citing other assorted pressures. Kamba’s message was clear: that if Baba Mukuwapasi was operating in a pre-colonial or colonial era, as in previous occasions, he would again have asked Nyakurukwa to assume chieftainship ahead of Nyamanhindi after the demise of Muzanenhamo of Nyakurukwa in 1985, because of Nyamanhindi’s endless wrangles, and, to allow for the continuity and stability of the area of jurisdiction of Chief Makoni. Kamba added that the ongoing, seemingly endless meetings about Makoni chieftainship would not have occurred had the Nyamanhindi house demonstrated purpose and unity each time their turn arrived, and, that there would be none of the ineligible Muvhimwas, Musweres, Muswatis and Zenderas of this world clamouring for the Makoni chieftainship. Kamba thus effectively thwarted any attempts by the Chair and the other three houses to blame Baba Mukuwapasi and the Nyakurukwa house for the mess that is the work of the disorderly Nyamanhindi house, post colonial government officials, and the ineligible houses of Muvhimwa, Muswere, Muswati and Zendera. Kamba considered it strange that government officials should be confused about who Baba Mukuwapasi is when only one Baba Mukuwapasi, who is office bearer and dons the traditional regalia at traditional occasions, was communicated to DA Makoni in person and in writing on 27th April 2013. Prior to that, the previous Baba James Kwaramba Mukuwapasi who passed away on 28th January 2013 was also communicated to DA Makoni in person and in writing. It is therefore significant to note that no one challenged Kamba’s narrative of the trend of events and neither did anyone contest the defence he proffered in favour of Baba Mukuwapasi and the Nyakurukwa house. Nyamanhindi was entirely to blame for being disorganized and disunited leading to the chaos that brought the ineligible house of Muswati into the picture, in 1993, after 158 years out of office. It is Nyamanhindi equally to blame for the current mess where Muswere, Muvhimwa, Muswati and Zendera who are not chieftainship houses are trying their luck at smuggling themselves into office. Nyakurukwa cannot recognize Muswati or Zendera or Muswere or Muvhimwa as chieftainship houses as a result of the inadequacies of Nyamanhindi. Nyakurukwa regards Nyamanhindi as having forfeited his turn to Gandanzara of Muswati and Nyamanhindi admitted to losing his turn to Muswati on 29th May 2010 as may be verified in a video clip available on request. In the same video he refers to two chieftainship houses and disregards the other two houses that were disqualified ages ago. It is the turn of Kamba of Nyakurukwa to be in office, and, Baba Mukuwapasi endorses this position, not as favour but indeed as entitlement of Nyakurukwa to take office. The gatherings of four houses after the death of Gandanzara to consider next incumbency was a first in Makoni chieftainship history and this mess is attributed to the shortcomings of Nyamanhindi and not to that of Baba Mukuwapasi or that of Nyakurukwa. At no time in the history of the Makoni chieftainship did Nyakurukwa ever compete with Nyamanhindi or any other house over next incumbency. It was always the families of the Nyamanhindi house fighting each other each time their house’s turn came. Makoni history tells us that only one house with the turn sat to consider next incumbency on the basis of families within that house. Any chieftainship feuds that Baba Mukuwapasi attends to would occur as a result of wrangling among nominees of families belonging to the same house. He would deliberate on the cases with his Council of Elders and make a decision as to who was best suited to occupy the office of chief according to the turn of the family, and, with reference to nominees put across, if there was no consensus. The role of Baba Mukuwapasi has been revered for almost four centuries now. This is the first time ever to know of disgruntlement with the way Baba Mukuwapasi executes his mandate as a result of forces that are not chieftainship houses or Mukuwapasis that are not part of the Institution of Baba Mukuwapasi or government representatives that trash tradition, custom and culture. It is therefore absurd that government officials should join the fray and fight alongside ineligible and disorganised houses, and, in the process, fail to fulfil their role as rational and impartial arbiter. Animated attempts by the Chair to isolate Kamba of the eligible Nyakurukwa house from the eligible Nyamanhindi house and the ineligible Muswati and Zendera houses by making wild accusations against Baba Mukuwapasi, that sought to point to bias in favour of the Nyakurukwa house, were meant to endear the Chair to Nyamanhindi and in the process entice Nyamanhindi into fighting from the corner of the two ineligible houses of Muswati and Zendera. Kamba’s exhaustive response that reduced the accusations to cheap lies that could not be supported or sustained by the Makoni historical narrative met with dead silence from the Chair and other collaborators in this conspiracy. After noting that the Chair, in a post colonial administration, had resorted to the old, tired and evil divide-and-rule shenanigans that sustained the now defunct and notorious colonial administrations, Kamba announced his wish to dissociate with a meeting that had been convened to assault the Makoni narrative, with oral memory and oral societies enjoying precedence over oral history and historical societies. As had happened to Baba Mukuwapasi, whose story had to be told by anyone else except Baba Mukuwapasi, so was Kamba’s story that was the major reason for the meeting being hijacked by dark forces that announced their arrival as the new kingmakers of the Makoni chieftainship. When reference was made to Kamba as nominee for chieftainship by the authentic Baba Mukuwapasi some four years ago, on 29th May 2010, and that this matter could not be ignored as if nothing ever happened in the intervening period, the Chair and the other three houses went silent, clearly signalling the fact that the lion is always hated for its royal truth. (a)That Muswati and Zendera were not chieftainship houses for valid reasons, already outlined, that have kept them out of office for almost two centuries. Those seeking their accommodation are not contesting that the houses were removed but are contending that as sons of Ruredzo they should also be accommodated despite their record, and yet, do not find scope for Fusire and Muchichwa to be added to the list of the sons of Ruredzo. (b)When Kamba pointed out that nine Makoni houses were disqualified for chieftainship and why should concern be raised in respect of two houses only, the response was that they were concerned with the Ruredzo sons only. (c)Kamba thus argued that the reasoning was skewed because two other sons existed, namely: Fusire who is the eldest son of Ruredzo, and, Muchichwa, the fifth eldest son of Ruredzo. In addition, Muchichwa fought to restore the chieftainship in 1845 but is not a chieftainship house by virtue of rational decisions taken long ago that barred him and Fusire from accessing chieftainship. (d)Kamba asked why the meeting was not agitating that Fusire and Muchichwa, both sons of Ruredzo, be made chieftainship houses. The answer from the Chair was that they were concerned with those that were once chieftainship houses but were disqualified along the line. (e)If the Chair’s concern for the Ruredzo sons to access their father’s throne was rationally based he would in fact have advocated for a six-house chieftainship that embraces Fusire and Muchichwa who had also been disqualified even before assuming chieftainship. (f) One wondered what authority the Chair had to re-write the Makoni history on behalf of the Makoni people and in collusion with those that have no standing in the Makoni historical narrative, noting the Chair is alien to Makoni traditions and was understandably busy reading from some chart to acquaint himself with the Makoni history. (g)The amount of disrespect for events on the ground by the Chair and what struck anyone present as his colleagues from the ranks of the ineligibles read like an extraordinary H-Metro scoop. (h) That chieftainship is about honouring history and not ignoring it or re-writing it in order to accommodate conspiracies and intrigues by those that are ineligible and harbour an impure and dirty agenda that has nothing to do with traditional ethics and cultural practices. (i) That those, like Topira Mutasa, who fought in the Second Chimurenga, cannot be allowed to use that background to claim chieftainship when they are not chieftainship houses. This particular insinuation reduced the long drawn wrangles in the Makoni chieftainship to a political scam devoid of traditions as found in historical, cultural and philosophical values of the Makoni people. It was no wonder that in afront page article, in the Newsday of 28th November 2013, that Honourable Didymus Mutasa, of the ineligible Zendera house, was breathing fire that he would not allow an MDC-T Chief to be installed in the Makoni area, claiming that the area belonged to him. When questioned whether he wanted the chieftainship himself, he revealed his nephew’s (his brother’s son) intentions to assume the chieftainship. It was no wonder that the Gwasiras of the ineligible Zendera house responded, in the same article, by charging that Mutasa did not even belong to the Makoni family tree. The ‘crowning’ of Cogan Gwasira, of the ineligible Zendera house, by Mutasa, who is accused by the same Gwasiras of not being a bona fide Makoni, amounted to reading images associated with B-Metro reportage that thrives on unprecedented scandals. Topira Mutasa’s mismanaged utterances merely confirm the arrival of the fifth column whose brief is to haunt the Makoni narrative. The unmistakable presence of the disorderly Zendera youths was handy as the icing on the cake. (j) That you cannot attack the Institution of Baba Mukuwapasi and the Nyakurukwa house when facts on the ground are clear that it is the Nyamanhindi house, with a long history of disunity, disorganisation and confusion that is responsible for the current mess where four houses meet to discuss chieftainship when the Makoni history, since 1625, says clearly that it is ONLY ONEHOUSE, when its turn comes, that meets and families within that house may contest each other for the chieftainship within their own house, and, under the Chair of Baba Mukuwapasi. (k)That Baba Mukuwapasi is Chair, convener, referee and nominator of Makoni chiefs and works closely with the Mukuwapasi Council of Elders who were evident by their strong presence at the meeting. This position has been in existence for 354 years, clearly proving that this institution is central to the unity and stability of the Makoni clan. (l) For the Chair to condemn or even to suggest that the Institution of Baba Mukuwapasi is a one-man band that operates unfairly is taking the imagination too far and is as good as obliterating the rich Makoni traditions based on order and unity, and, traced to the unifying role of the institution of Baba Mukuwapasi. (m) The Chair’s attitude towards Baba Mukuwapasi was akin to quarantining the President, accusing him of being a one-man band who operates unfairly, and, giving free reign to the ministers he appoints to run the country without regard to his defining authority. (n)Donga-wa-tonga muzinda wemasvosve. An all-chiefs-no Indian scenario being advocated by government officials smacks of misguided energies that do not benefit subjects under the area of jurisdiction of Chief Makoni. No reasonable and rational person would find fault with the foregoing account. It was therefore intriguing, after this elaborate explanation of issues by Kamba that the Chair would still find room to insist on four chieftainship houses. The Chair’s predetermined position to achieve a pre-arranged outcome led to Teddy Muchira of Nyamanhindi making it clear that if progress meant acceding to four houses being insisted on by the Chair, as opposed to the historically recognised two, then, the Chair may proceed with his agenda. The posture adopted by Teddy Muchira did not constitute consent but protest, noting that the mainstream Nyamanhindi position remained cast in historical narrative that is backed by video and writings by the Nyamanhindi house; and, that narrative can be readily produced on request by any interested party. Kamba of Nyakurukwa disagreed with that position which was a complete reversal of what Nyamanhindi had always stood for, including at the previous meetings of 14th June 2013, 29th May 2010 and 30th January 2010. Kamba could not be party to the re-writing of the Makoni narrative, noting that distorting history is as evil as singing about the ’glories of colonialism’ as befitting heritage for the future generation of black Zimbabweans. Kamba thus left the meeting, and, in doing so, made it clear to the Chair that the meeting had absolutely nothing to do with the Makoni chieftainship, noting that customary principles of succession had been sacrificed, ignored and consequently violated with ruthless ease. The smuggling in of ineligible houses that are not recognized in the Makoni traditions as chieftainship houses, and, have never been a factor in determining the Makoni narrative, for now two centuries, reduced the gathering to a grand fraud aimed at assassinating the historical pillars of the Makoni clan. What authority has anyone to reinstate nine houses that were disqualified over a period of two to four centuries ago? Even Baba Mukuwapasi, the father-figure that superintends over the Makoni chieftainship has no authority to reverse what history has already qualified as a Makoni narrative. The only recognised authority in the Makoni traditions that nominates a person for appointment as Chief is Baba Mukuwapasi, and, NOONE ELSE. Even an authentic Makoni chief cannot re-write the Makoni history without inviting the ire and fire of the Makoni clan as a whole. There is dire need on the part of government officials and rogue elements within the Makoni clan to be faithful to a history that has made the Makoni chieftainship what it is today. 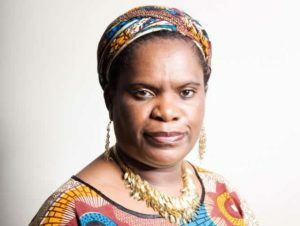 Those who disqualified the Muswati and Zendera houses had no intention to have them reinstated, noting that nine Makoni houses were disqualified, and, why would two of the houses that committed the most dreadful offences be selected for reinstatement by persons who are strangers to the Makoni narrative and are therefore not recognised as custodians of the history, culture and philosophy of the Makoni clan? (a)The claim by government officials that a four-house chieftainship, made up of Muswati, Zendera, Nyamanhindi and Nyakurukwa existed in the pre-colonial era was exposed as patently false by the two eligible chieftainship houses, and the officials settled for a two-house chieftainship of Nyamanhinhindi and Nyakurukwa in the pre-colonial and colonial eras. (b)The officials, not to be outdone, revised a two-house chieftainship dating back to pre-colonial and colonial eras to a four-house chieftainship as venerated by some spooky document written by some shady characters in 1992 in a post colonial era. (c)When the authenticity of the so-called document was questioned, the officials failed to produce the document and instead clung to a four-house chieftainship that dispenses with a two century-old history and instead seeks to honour all the sons of Ruredzo who were once chiefs and excludes the two that did not become chiefs. (d)The claim by government officials, in collusion with the houses of Muswati, Zendera and Nyamanhindi that Baba Mukuwapasi favoured the Nyakurukwa house could not be sustained when Nyamanhindi was exposed by Kamba of Nyakurukwa as his own enemy and responsible for opening the floodgates of the chaos that government officials and ineligible houses are gorging on to the detriment of development in the Makoni area. (a)The claim by government officials that there was a four-father figure of three spirit mediums (Muswere, Ruredzo and Chikunguru) and one official undertaker (Rugoyi) that nominated and installed the chief was dismissed as patently false by the two chieftainship houses, and the officials settled for a one father-figure of Baba Mukuwapasi , traditional installer, as confirmed by the two eligible houses of Nyamanhindi and Nyakurukwa. (b)The officials quarantined the one father-figure as traditional installer in Baba Mukuwapasi, and instead glorified a one father-figure as political installer, in Honourable Didymus Mutasa. (c) The officials refrained from even mentioning a longstanding nominee in Donald Sarudzai Kamba Makoni of the eligible Nyakurukwa house, 29th May 2010, and instead congratulated a nominee in Cogan Gwasira of the ineligible Zendera house, 27th June 2014. It must be stated that the government officials were being misguided in the above thrust by a faulty document written by Mark Nyahada of the ineligible Muswati house that was distributed ahead of the meeting of 14th June 2013. It is fair to reflect, that, any attempt, which seeks to deviate from customary principles of succession effectively disables the umbilical cord upon which the Traditional Leaders Act Chapter 29:17 that guides the appointment, rights, duties, obligations and responsibilities of Chiefs recognizes the need to respect tradition and ensure good governance in the area of jurisdiction of a Chief. THE MEETING OF 27TH JUNE 2014 HELD AT ST LUKE’S PRIMARY SCHOOL CHIHOMVA MAKONI RUSAPE, AT THE REQUEST OF GOVERNMENT OFFICIALS, TO NOMINATE NEXT INCUMBENCY OF MAKONI CHIEFTAINSHIP, FAILED TO CONFIRM AND DEFEND THE MORAL CAMPUS THAT GUIDES AND GOVERNS THE MAKONI CHIEFTAINSHIP. THE MAKONI SAGA WARRANTS, FROM A VERY LEGITIMATE POINT, AN INVESTIGATION AS TO WHY, FOR THE FIRST TIME IN THE MAKONI TRADITIONS SINCE COLONIAL TIMES, GOVERNMENT OFFICIALS ARE NOW, KNOWINGLY, ENTERTAINING BOGUS MAKKONI CHIEFTAINSHIP HOUSES AND BOGUS INSTITUTIONS OF BABA MUKUWAPASI. THE SEEMINGLY ENDLESS WRANGLES BEDEVILLING THE MAKONI CHIEFTAINSHIP ARE INDUCED, IN VERY LARGE MEASURE, BY FORCES THAT ARE NOT INFORMED BY THE PULSE THAT DRIVES THE MAKONI TRADITIONS, HISTORY, CULTURE AND PHILOSOPHY. IT IS THEREFORE TREACHEROUS, ON ANYBODY’S PART, TO HOST AND BOLSTER A SCAM, UNDER WHATEVER GUISE, IN ORDER TO DISMEMBER THE MAKONI NARRATIVE OF UNITY, ORDER AND PASSION FOR THE MOTHERLAND. THE NOMINATION OF DONALD SARUDZAI KAMBA MAKONI, OF NYAKURUKWA HOUSE, BY THE RIGHTFUL BABA MUKUWAPASI, ON 29TH MAY 2010, FOR APPOINTMENT BY THE PRESIDENT TO THE POSITION OF CHIEF MAKONI, UNDER THE GLARE OF VIDEO CAMERAS, AND WITNESSED BY THE OFFICE OF DA MAKONI, CANNOT BE SABOTAGED UNDER THE WEIGHT OF A SCAM THAT ANSWERS TO EXTRATERRESTRIAL FORCES. Letter by Baba Mukuwapasi (Ishe Enock Mukuwapasi) to DA Makoni dated 27th April 2013 as a reminder of overdue appointment of Donald Sarudzai Kamba Makoni who was nomination for appointment as Chief Makoni on 29th May 2010. Traditional installation of Kamba as reported in Manica Post of 17 to 23 December 2010.